Tracy and I went to see Tool tonight. Pretty rockin show. 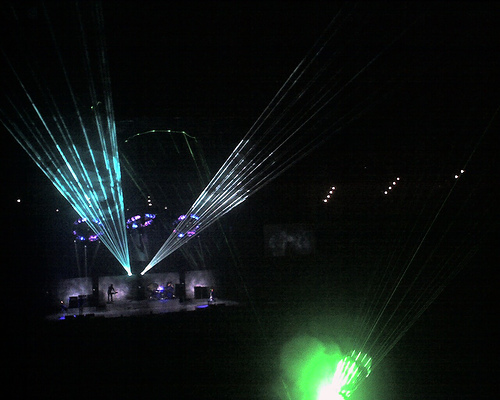 The visuals were great, and they had some sweet laser action going. I do get the distinct feeling that I just got back from the airshow tho...I'm freakin deaf. The music was way too loud for my taste...next time I'll have to remember to bring my earplugs.